Nero is an emperor, but he wants to be something more - a poet. This is a book about the passion for glory that burns everything on his way. Nero, the all-powerful master, is a beggar at the foot of each poet of reputation. He is envious of the talented and he oppresses them mercilessly; he goes beyond all bounds, when he has a vision of success. His manic passion passes death sentence on anyone who does not cheer him. Nero strives for beauty, but he travels through a bloody nightmare in order to arrive in ashes. 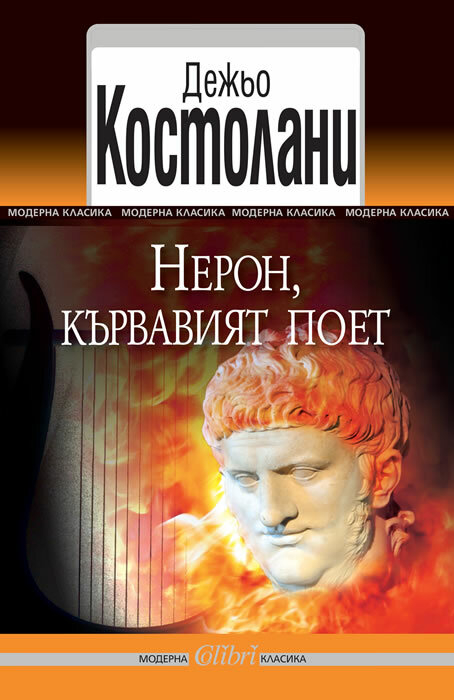 The novel "Darker Muses: The Poet Nero" has been translated into 16 languages. Its main character died in Ancient Rome. Alas, not forever. Dezső Kosztolányi was a famous Hungarian poet and prose-writer. Kosztolányi was born in Szabadka (Subotica) in 1885, then part of the Austro-Hungarian Empire, but which now lies in northern Serbia. The city serves as a model for the fictional town of Sárszeg, in which he set his novella Skylark as well as The Golden Kite. Kosztolányi studied at the University of Budapest, where he met the poets Mihály Babits and Gyula Juhász, and then for a short time in Vienna before quitting and becoming a journalist - a profession he stayed with for the rest of his life. In 1908, he replaces the poet Endre Ady, who had left for Paris, as a reporter for a Budapest daily. In 1910, his first volume of poems The Complaints of a Poor Little Child brought nationwide success and marked the beginning of a prolific period in which he published a book nearly every year. In 1936, he died from cancer of the palate. He wrote novels, short stories, and short prose works, including Nero, the Bloody Poet (to the German edition of which Thomas Mann wrote the introduction), Skylark, The Golden Kite and Anna Édes. In 1924 he published a volume of verse harkening back to his early work, entitled The Complaints of the Sad Man. Kosztolányi also produced literary translations in Hungarian, such as (from English, at least) Shakespeare's "Romeo and Juliet", "The Winter's Tale", Lewis Carroll's "Alice in Wonderland", Thornton Wilder's "The Bridge of San Luis Rey", Lord Alfred Douglas' memoirs on Oscar Wilde and Rudyard Kipling's "If". He was the first authentic translator of Rilke's poetry, and he worked a Hungarian masterpiece after Paul Valéry's "Cimetiere Marin".